New Year’s Resolutions are promises we make to ourselves, why do so many of us resolve to do something we don’t really want to do? We pick life changes we’ve been avoiding – like losing weight – discounting the enjoyment of a loaded pizza or decadent dessert shared with friends. This year, make resolutions you’ll enjoy keeping, and revisit them often. 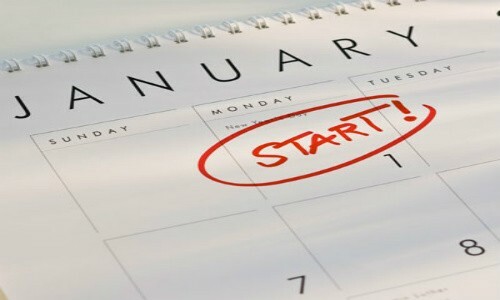 Resolutions are all about improving – even the resolutions themselves. 1. Resolve To Give. A study from Harvard Business School documented that helping others financially brought donors greater happiness than if they’d spent the money on themselves. If you can’t give financial gifts, give time. If you don’t know who to help, try VolunteerMatch.org or GreatNonprofits.org, and type in Long Beach, CA. You’ll find everything from Algalita Marine Research and Education to Special Olympics Southern California or the Red Cross. 2. Resolve To Share. Buried beneath hectic schedules, we think we’ll spend time with friends or family when we have a chance, but chances never materialize. A study from Brigham Young University and the University of North Carolina at Chapel Hill found that differences in longevity between people with strong social ties and those without equated to health differentiations between nonsmokers and smokers. Set time aside for outings, visits and conversations. anything new counts as long as you’re fully engaged. Resolve to take that first class to earn your MBA. Learn to file your own taxes in February. Read the latest historical biography, or help someone else study. It all counts. 4. Resolve To Wait. Despite a world feeding on split-second decisions, resolve to wait before acting. In “Wait: The Art and Science of Delay,” Frank Partnoy – professor of finance and law and co-director of the Center for Corporate and Securities Law at the University of San Diego – advocates assessing real versus seeming deadlines. Delayed decisions are often wiser choices that we’ll feel better making. Resolve to give yourself 5 minutes before hitting Send, and one day, you just might want to thank him yourself. 5. Resolve To Persevere. Former British Prime Minister Winston Churchill advised, “Never, never, never give up.” He also said, “Never give up on something that you can’t go a day without thinking about.” Too often, we’re defeated when a first attempt fails. Statisticians write formulaic tomes on the likelihood of first-try success, with a drastically simplified equation expressed as E = p+(1−p)(E+1) = 1+E(1−p). Put far more simply, resolve to try again – and another time after that. Repeat as needed. Here are some reference links! Previous StoryWe are Open New Year’s Day NEXT StoryMayor Garcia stopped by for a visit!